For some time now, we have been interested in using Haskell to program inexpensive embedded processors, such as those in SUN's new Java family. 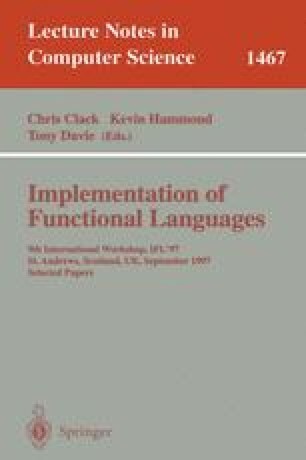 This paper describes our first attempt to produce a Haskell to Java Virtual Machine code compiler, based on a mapping between the G-machine and the Java Virtual Machine. Although this mapping looks good, it is not perfect, and our first results suggest that the compiled Java Virtual Machine code may be rather larger and slower than one might hope.